The tour was wonderful and the my tour guide, Mr Wayan Sudira, is very nice and professional. I am a solo traveler. I planned to visit about 8 places. Wayan ensure that the quality of the trip, he suggested me to take 4-5 places for one day instead and gave me two options. Eventhough traveling with only one guest, Wayan still makes sure I won’t be bored during the trip. He is easy going and friendl, and speak fluent English. He sang songs and made joke. We had a lunch together on the Jatiluwih Rice Terraces with beautiful views. We all have a very good memory in bali, the tour guide is very friendly, he had introduce the local food and the culture for bali to us. The energy there is great. 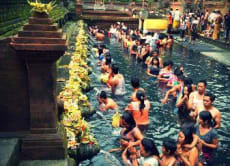 We are very lucky this time, we can enter the temple worship area Gate with the locals and experience the water blessings by the priestess there. 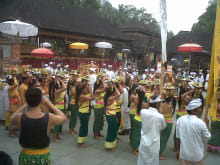 It would be more secure if the guild contact the ceremonlist before, rather than just walk in by chance to join the locals together so that to get into the Temple worship area. To be honest, sometimes, the locals didn’t allow tourists get into the worship area to the Temple. We joined the 1 day tour, guided by Mr. Wayan Juli and his friend Dewa, to the Mount Batur and Ubud, we went to the Tirta Temple which is great and very special, the view of Mount Batur and Lake Batur was stunning though it's cool up there. Wayan and Dewa were very friendly and toured us around and explained the history and culture of Bali to us and we found the trip very enjoyable. Plus they are very flexible on the trip planning and provide valuable input on route planning. We started the trip at almost noon and we think its better to start our trip earlier next time to allow sufficient time to different location :) I would surely recommend Wayan to my friends for future visit. Its very nice experience to go to Bali. 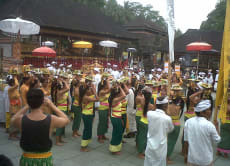 My Tour guide, Mr. Wayan Juli is very nice person and explain the history of Bali and the places as well. Very kind of him.